Recently, a Qlikview user asked me if there was an easier way to filter on a numeric field. 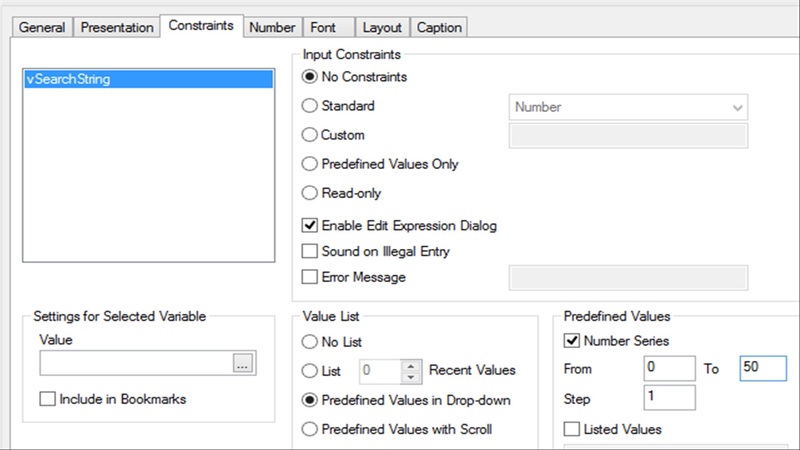 This seemingly simple task can be tricky, especially when there are many unique values, as there often is in a numeric field. This has come up several times in the past, so it seemed to be a nice topic to post. 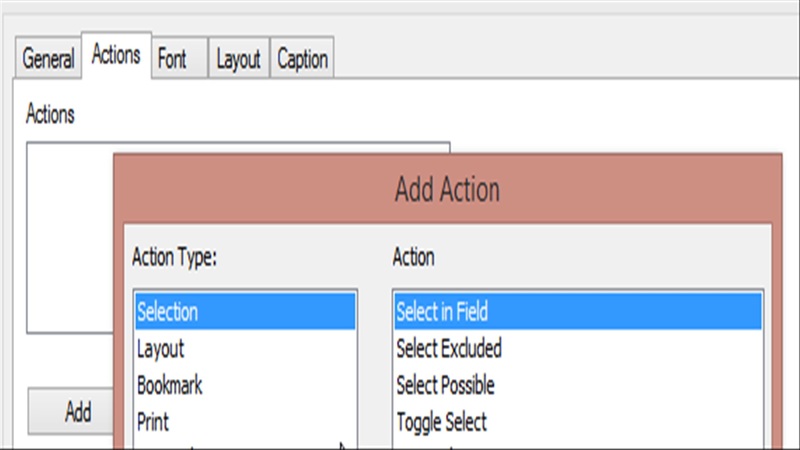 The action “Select in Field” can be a very useful tool to improve the overall user experience. This is a nice method to allow users control of what filter they would like to apply to a given field. 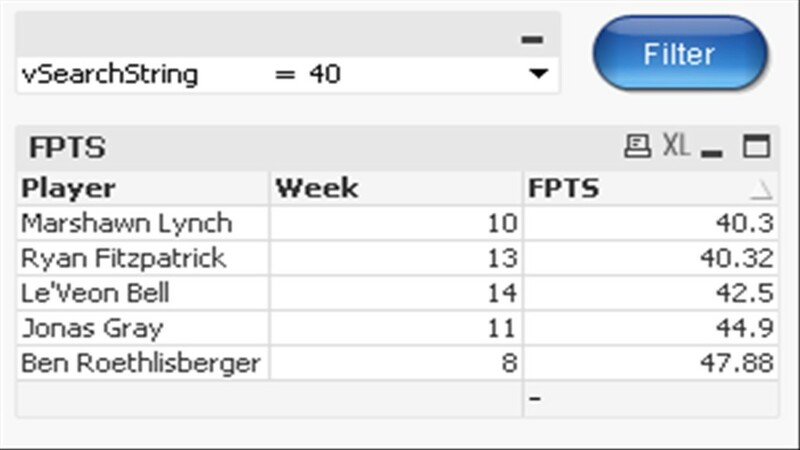 In this case, FPTS has many different numeric field values, so it could get tricky for the novice user to manually select any value greater than 40. 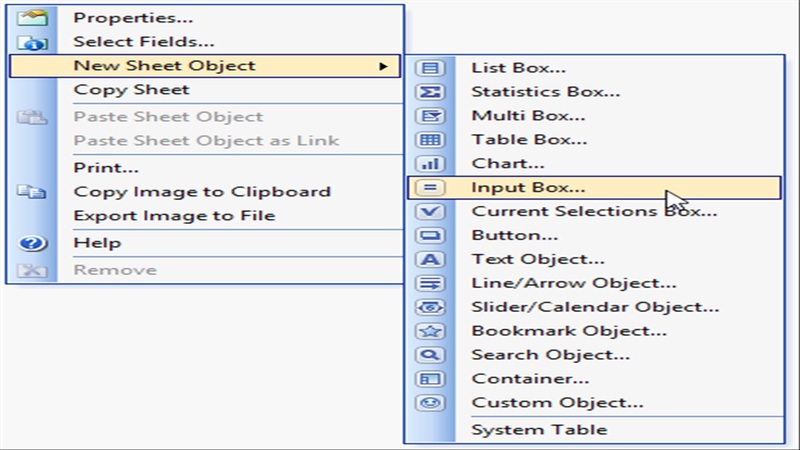 Now, enter a value in the Input Box and click on the “Filter” button you just created. 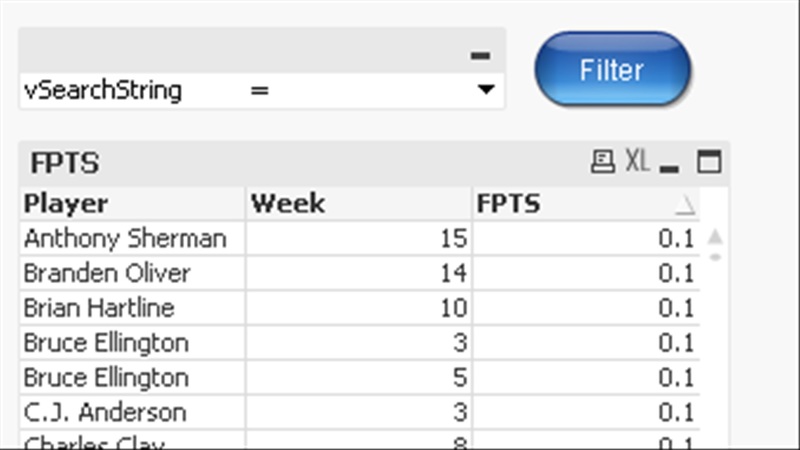 You will see that your chart (or any other objects in your Qlik app) will now filter down to cases where the FPTS field is greater than 40 (which is the value you input for vSearchString). 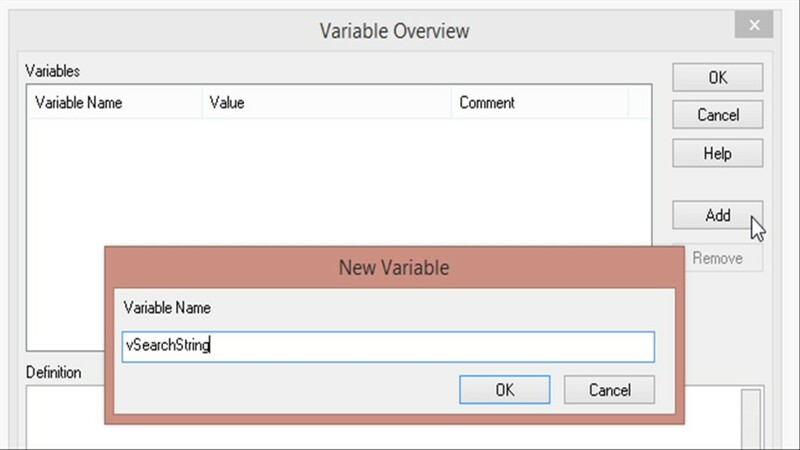 By using this technique, the user can now input a filter criteria and narrow down the contents of the chart. Doing this type of filter on a numeric field can be a little tricky, leading to unintended results. 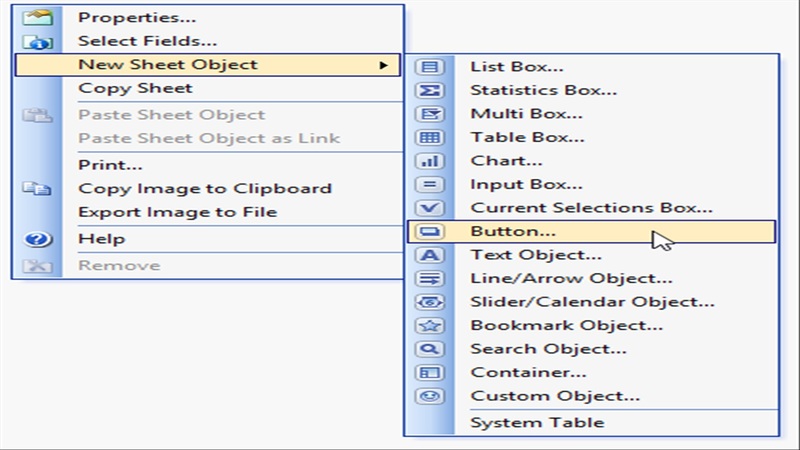 This solution provides a simple, clean method to accomplish this task. 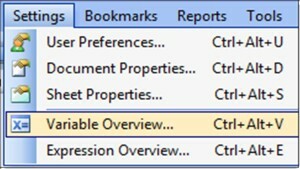 How can we do greater than “OR” less than? 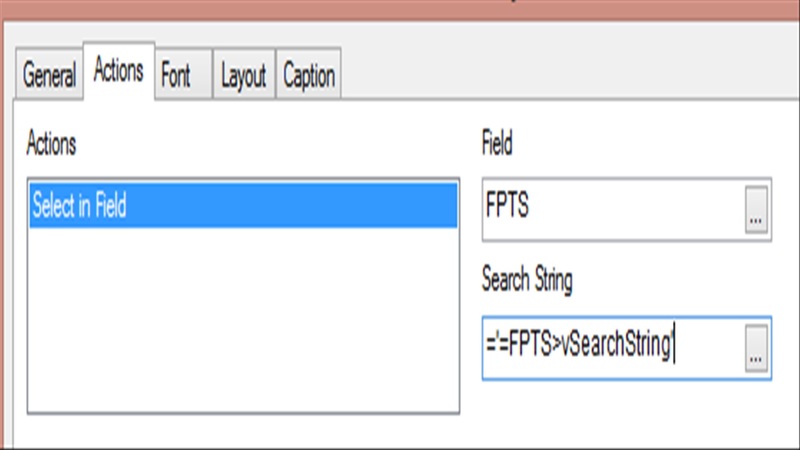 for example FPTS>vSearchString1 or FPTS < vSearchString2? I tried using the OR operator but it did not work. 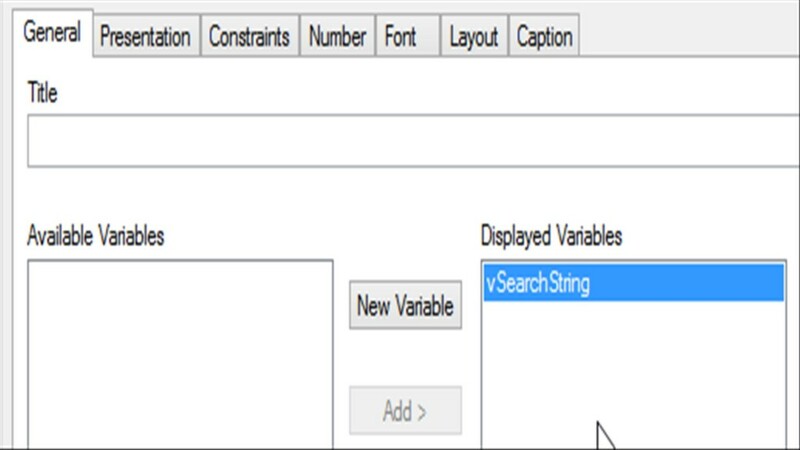 ='(‘ & ‘>’ & $(vSearchString1) & ‘|’ & ‘<' & $(vSearchString2) & ')' I assigned the values for vSearchString1 and vSearchString2 using an Input Box, in drop-down mode stepping from 0 to 50 by 1 value. Thank you very much. Really appreciate the solution. It is working like a charm.